3D printing has been used by the automotive and aerospace industries to build prototypes for some time now. However, over the last few years, 3D printing technologies have evolved at a rapid pace. This report provides six theories on how this technology will affect society as a whole and the logistics industry. 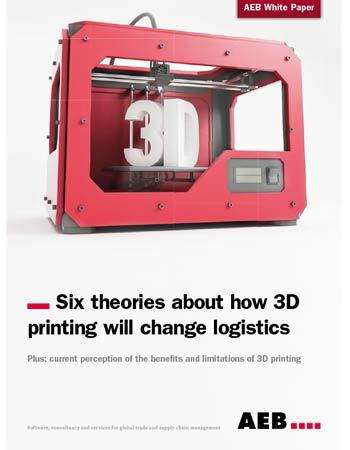 Below is an excerpt of "Six Theories About How 3D Printing Will Change Logistics". To get your free download, and unlimited access to the whole of bizibl.com, simply log in or join free. 3D printing has been used by the automotive and aerospace industries to build prototypes for some time now. Components manufactured with 3D printing offer the same safety and stability as the traditionally manufactured components they replace but at a fraction of the weight. Integrating such components into finished aircraft helps save fuel and reduce CO2 emissions. In medical technology, additive manufacturing – the industry term for 3D printing – has already achieved standards on par with traditional manufacturing methods. Dental crowns, hip joint prosthetics, hearing aid shells: 3D printing is used wherever “replacement parts” for the body are needed. The medical industry will see even more revolutionary developments in the years to come. Researchers are experimenting with the printing of human cells. Artificial skin for burn victims, artificial ears, and artificial kidneys are no longer a utopian vision. A Swiss-made 3D printer is designed to manufacture lung tissue, and soon it will also print jawbone implants. Fashion designers, architects, artists, and food technicians are experimenting with the possibilities offered by 3D printing. Shoes, clothing, buildings, miniatures, even pizza – all these things have already been printed. The potential for replication seems almost boundless. Hardly a month goes by in which we don’t hear reports of something new that has been manufactured by 3D printing. Nike has marketed the first athletic shoe with 3D-printed components, a designer is launching her first collection of printed nylon hats, you can download templates for a pair of women’s shoes that can be printed out overnight, and there is a long-running competition among architects to produce the first habitable printed structure, with ongoing research into the technologies and materials best suited to the task. But the market has also developed in less spectacular ways. Prices for 3D desktop printers have already fallen below the EUR 1,000 mark, making them accessible to private consumers as well. Not all of us have the ambition to design our own goods, but the scene for so-called “fabbers” – people who print cell phone cases, mugs, jewelry, or game pieces for their own personal use – is growing. In the commercial sector, 3D printing offers the opportunity to move production close to the consumer. Experts nevertheless remain skeptical that the technology will have much of an impact on global transport volumes in the near future. The trend toward custom production is more likely to boost so-called “last-mile” shipping. Many experts assume that in 20 or 50 years, we will have mobile production platforms that print out components right where they are needed. This could mean that we only need to move raw materials and 3D print cartridges around the world. Time will tell whether such an extreme scenario becomes reality. One thing is for certain: The market share of additive manufacturing will continue to grow. 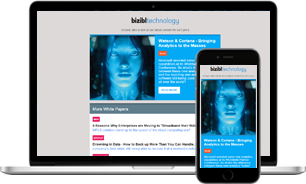 This white paper puts forward six theories about how the technology will affect society as a whole and logistics in particular. No waste - 3D printers apply layer after layer of plastic, synthetic resin, metal, ceramic, or plaster without producing any waste. While traditional manufacturing processes always involve the removal of material through sanding or milling, additive manufacturing only consumes the material that is actually needed. With one exception: Extra material is required to build support structures for overhanging constructions. This “scaffolding” can be removed following the production phase by immersion in a caustic solution, for example. Customised - 3D printing lets you manufacture individualized products, such as hearing aid shells custom-fit to the recipient. Point-of-Sale Production - 3D printing enables decentralized production close to or directly at the point of sale. 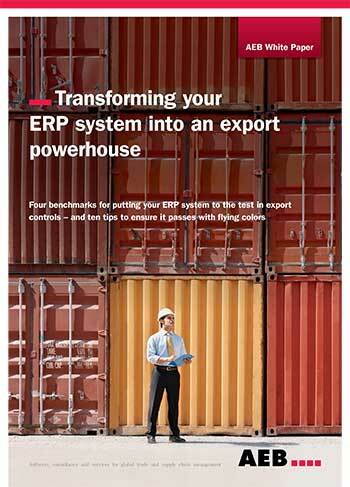 This saves transport costs and drives down overall logistics expenses. Limited Mass Production - The print technology is also useful for small production batches or limited mass production and for manufacturing the molds needed for this type of production. Cuts CO2 Emissions - 3D printing makes it possible to construct lighter components, which – when installed in aircraft, for example – can help reduce CO2 emissions. Adaptable - In the future, it will be possible to print out replacement parts on demand without the need to store them for years. This will cut down on the need for storage space and resources. Competitive - 3D printing will make it possible for high-wage countries to “nearshore” production back home again from low-wage countries. No Mass Production - 3D printing technology is not yet suitable for mass production. It cannot compete with the speed of traditional manufacturing processes. Rough Surface - Many 3D printing processes leave a rough surface structure on objects made of synthetic fibers. If a smooth surface is needed, the objects require finishing. Less Security - 3D printing has the potential to undermine control mechanisms that ensure products are safe and appropriate for the market. Customs authorities lose their oversight capabilities when goods are no longer transported across borders; they cannot conduct consumer protection or safety controls or keep counterfeit goods off the market. Without customs controls, local production using 3D print technology is subject to the normal rules. Liability Issues - Many product liability issues remain unresolved. If anyone can become a manufacturer or producer, who assumes liability when something breaks? 3D printing is still so young that the law has lagged behind on such issues. When we look at how rapidly the various 3D print technologies have developed so far, we can assume that more and more industries will invest in 3D printing. Manufacturers from all types of industries are talking with consultants and running tests to see which products they can someday produce using 3D print technology. Logistics Trend Radar, published by DHL, expects an annual growth rate of 13.5 percent for additive manufacturing. The 2013 study predicts that the global market of USD 1.8 billion in 2012 will grow to USD 3.5 billion in 2017. 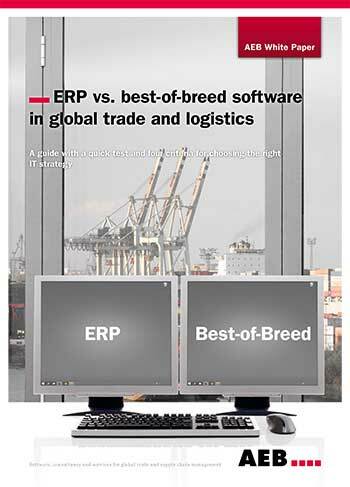 The Logistics Trend Radar report of 2014 cites a McKinsey study that forecasts a market of USD 550 billion in the year 2025. Experts agree that 3D printing promotes local and regional production and that the next 20 years will see 3D print centers spring up close to sales markets. In the past, many companies outsourced their production to Asia to save costs. Now, 3D printing gives them the option of “nearshoring” their production back to high-wage countries. The most prominent advocate of this theory is US President Barack Obama, who sees the spread of this technology as potentially revolutionizing the American economy. In 2013, the US government earmarked USD 30million to fund a research project into additive manufacturing. The President asked Congress for its support to build additional 3D technology centers. Many of the goods that are currently mass-produced will continue to be mass-produced. The main reason is that many articles that can be very affordably manufactured with traditional processes would be much too expensive to produce in large quantities using 3D printing. But one thing is certain: The trend toward customization will continue. On the one hand you will have the tinkerers, techies, and creative types who will design and print out their own coffee mugs, door knobs, or towel racks. The “fabbers” will continue to grow in number, turning their own homes into production centers. But not all of us have the ambition to become our own designers and producers. Most of us will be happy to have manufacturers customize product designs to our wishes. 3D printing makes it possible to accommodate individual customer requests during production. Manufacturers will no longer keep large volumes of standardized products in stock, moving instead to a more flexible manufacturing model based on the “made to order” principle. This will depend on progress in the coming years with the speed of 3D printing. The variety of products will expand and production will become even more customized than it already is today in the automotive industry. In the future, customers will modify the model of a lampshade online before clicking the “Order” button. Increasingly individualized production will have an impact on logistics: As mass production in East Asia declines, long-distance shipping will also decline, but this could be accompanied by an increase in “last-mile” shipping. The vision pursued with 3D print technology looks something like this: Goods no longer need to be shipped halfway around the world, because they can be printed out close to the consumer. But for now, the idea that in 35 years we will only be shipping raw materials and 3D print cartridges is still just a faraway vision. Logistics Trend Radar, which DHL published for the second time in 2014, cites ongoing globalization as one of the megatrends of tomorrow. The spread of 3D printing could counteract the trend toward globalization. But it is still unclear how great an impact 3D print technology will have. Forecasters are also cautious when it comes to the overall impact of 3D printing on transport volumes. Logistics Trend Radar names 3D printing as one of the technology trends whose full impact will not become clear for at least 5 years and ranks the potential as “moderate,” not “significant.” This hesitation is based on the uncertainty as to whether 3D printing will be able to supplant traditional manufacturing processes. So it is not yet possible to predict if and to what extent the spread of 3D print technology will affect global transport volumes. Routes will likely shift – fewer finished products will be shipped from far away. Meanwhile, the importance of local production sites close to consumer markets will increase. 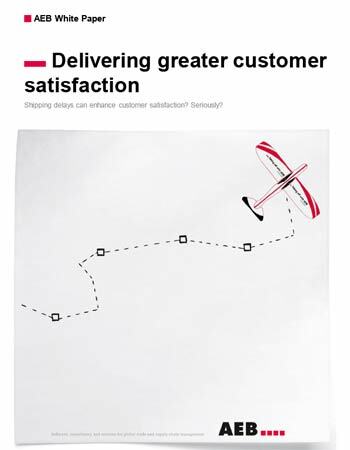 Initially, this would mean an increase in “last mile” shipping. This assessment is based on the experiences of recent years, which has seen a sharp rise in e-commerce. Even if it is safe to assume that the do-ityourself community will grow, it is rather unlikely that every household will print out its own goods at home. But when consumers demand a greater say in the design of their products, “made to order” production models will be the response. The volume of custom manufacturing will likely grow. But it is impossible to say for certain whether this will actually lead to more package delivery trips and environmental pollution. 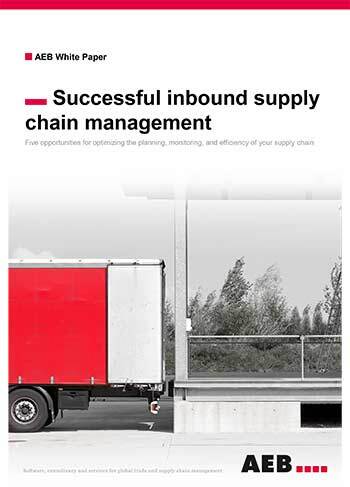 Efforts are already underway to reduce transport volumes by consolidating shipments and better optimizing truckloads. As individualized production and distribution grows, such efforts must be redoubled to prevent the volume of last-mile shipping from growing at the same rate. The media hype surrounding 3D printing in the past two years and the growing popularity among private citizens has a lot to do with the fact that this technology is essentially open to anyone. One manufacturer of desktop 3D printers sold 12,000 such devices in 2012. Hobbyists and DIY’ers can order a 3D printer kit for EUR 699, including a kilogram of plastic filament, and assemble it themselves. The number of people who want to play with this technology will also grow in the years to come. The “fabber” scene has emerged from the DIY communities who create their own designs and print out their own bracelets, coffee mugs, or self-portrait busts. The generation coming of age today expects to be able to print out a chess piece or building block overnight. Designs can be downloaded from the Internet or created with the help of iPad apps. The three-dimensional object is prepared in the STL file format that any 3D printer can read. Just send the file to the desktop printer – at home or in the 3D print shop around the corner. That’s it! The world’s first 3D print shop opened in Zurich in 2012. Additional print shops opened in Munich and Vienna in 2014. It’s safe to assume that 3D print shops, where customers can go to have their own custom-designed objects manufactured, will continue to pop up in major cities in the coming years. Benefit 1: The use of lighter components in the aerospace industry will reduce CO2 emissions. Manufacturers are using 3D print technology in the aerospace industry to construct parts with up to 70 percent less weight than conventionally manufactured parts. Building aircraft with such parts, which are lighter but equally stable, reduces weight and fuel consumption, which also lower CO2 emissions. Benefit 2: Less material consumption 3D print processes, unlike traditional manufacturing processes, only consume the material needed for the end product. Constructions with overhanging designs do require some extra material for scaffolding, however. When the laser sintering technique is used with a powder-based material, the scaffolding is dissolved within the hollow spaces, where it can be captured and re-used. Benefit 3: The need for long-distance shipping is eliminated, thereby reducing emissions See theories 2 and 3: More local production minimizes round-the-world shipping. There remains a need to ship raw materials and products not suited to 3D printing, however. Benefit 4: It is no longer necessary to physically store replacement parts. Keeping blueprints in digital storage saves resources (see theory 5) Keeping replacement parts in stock requires storage space and energy to run the warehouses. If there is no longer any need for physical storage of seldom-needed replacement parts, resources can be saved. This also eliminates the need to dispose of unused replacement parts whose shelf life has expired. 3D printing makes it possible to keep seldom-used replacement parts in digital form only and print them out on demand. However: 3D printing processes may be more energy-intensive than traditional manufacturing. When one looks at the production process as a whole, products manufactured using a professional 3D printing process have a large carbon footprint. This is the case with laser sintering and laser melting when the base material is powder, for example. The powder production process is sometimes very energy-intensive. The original solid plastic, such as polyamide, is cooled to -70°C to -100°C so that the it doesn’t melt in the grinder. So it is not enough to focus only on how the finished product can help reduce carbon emissions. The assumption is that 3D printing will take its place alongside traditional mass-production technologies, not replace them. There is very little research into how much energy the various manufacturing processes consume – and measuring and comparing them is difficult. The greatest opportunities for additive manufacturing are in replacement parts. Companies have an obligation to supply replacement parts to their customers, even many years after the sale. Hanging onto these replacement parts ties up large areas of storage, which costs money. Many replacement parts may no longer be usable after such long periods of storage, so they have to be disposed. Older replacement parts can no longer be used in new product versions when equipment is upgraded and new functionalities are added. 3D printing offers the solution to all these problems. It is possible to save a good deal of storage space if all you need to do is archive digital blueprints. It is no longer necessary to physically store seldom-used replacement parts. Replacement parts for tools and machinery with improved functionality can be digitally adapted and printed out only when needed. This saves materials and resources. The British, American, and Chinese militaries have already adopted 3D printing for these very reasons. The US Army prints out surgical instruments and protective masks directly in war zones. Shipping containers are reconfigured as mobile 3D print shops in order to provide soldiers stationed abroad with the equipment and replacement parts they need. NASA is also experimenting with the possibilities offered by 3D printing and has commissioned the production of a 3D printer suitable for deployment in outer space. Ideally, NASA would like to enable astronauts to print out their own tools and replacement parts rather than having them sent up from Earth. The printer is due to be flown up to the International Space Station for zero-gravity experiments in 2014. Here on Earth, it is fans of vintage cars and aircraft who appreciate 3D print technology, which allows them to print out replacement parts that are no longer available or sell them in online marketplaces. The American comedian and talk show host Jay Leno, who owns an entire warehouse full of vintage automobiles, is the most prominent fan of 3D printing. On YouTube, Leno shows how he uses 3D printing to manufacture replacement parts for his 1907 White Steamer. Logistics service providers often handle the logistics of providing replacement parts as one of their services. UPS and DHL have launched pilot projects to study the viability of expanding their services to include 3D printing. 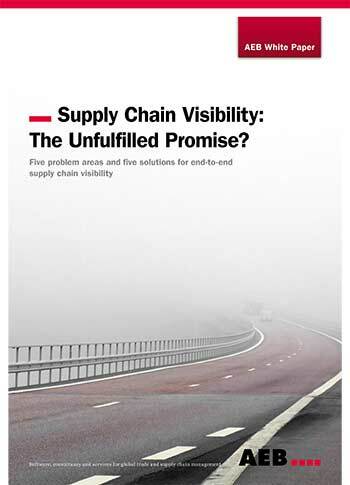 Time will tell whether manufacturers turn to their logistics service providers to store and maintain their blueprints or whether this will be a new niche for IT specialists. Logistics service providers will only be allowed to store and print out the data models if the manufacturers trust them and are prepared to give them the 3D data models. What’s certain is that in the future, the “value” of a product will reside in a digital file. Manufacturers will try to protect their intellectual property by inserting copy protections and assigning licensing rights. It is too early to say what the role of the logistics service providers will be in all of this. It’s important to keep in mind, however, that 3D printing will not be capable of replacing everything that Europe imports from faraway lands. There will still be a need to ship raw materials along with textiles, leather, and products made from mixed materials. But the digitization of commerce will have other consequences. If goods no longer pass through border controls, then customs offices no longer have access to them. Customs officials today work to keep counterfeit goods off the market. In 2013, the German customs authorities blocked the import of over 3.9 million knock-off goods with a value of EUR 134 million. The customs authorities also ensure compliance with consumer protection measures and export control regulations, which provides security in international commerce. This security could be undermined by the spread of 3D printing and the transmission of goods in digital format. Other control mechanisms would need to be implemented, such as we already see today in export control regulations. Here it is first and foremost the responsibility of companies themselves to comply with mandatory regulations. It remains to be seen how much legislators or customs authorities will “weigh in” and respond with new regulations for 3D printing and the digital transmission of goods. The American Chuck Hull, founder of 3D Systems, filed for a patent in 1986 for a device used to manufacture three-dimensional objects layer by layer by means of stereolithography. Stereolithography is regarded as the “mother” of all 3D printing processes, enabling high-precision manufacturing by curing liquid plastic or resin with an ultraviolet laser beam. The two most common processes of additive manufacturing are fused deposition modeling and selective laser sintering. Fused deposition modeling involves manufacturing a 3D object layer by layer from a fusible plastic. The plastic is heated in the print head, extruded through fine jets, and applied to the print bed layer by layer. A second jet creates the supports needed to manufacture overhanging structures. When the manufacturing process is complete, the supports are removed. Fused deposition modeling, which follows the same principle as glue guns, is the technology underlying nearly all affordable devices, such as desktop printers for home use. Laser sintering uses a powder as the base material. A laser beam selectively heats the powder, fusing the tiny powder beads together so that when they cool, they form a solid three-dimensional object. SLS is a high-end process capable of working with metals, plastics, ceramics, or sand.